Few weeks ago, we published a post about the Teclack-W® Intumescent Paint where we explained the difference between a “reactive” and a “non-reactive” product in terms of passive fire protection. We will talk now about a “non-reactive” product that does not change neither its chemical composition nor its appearance in contact with fire, as occurs with intumescent products. Within the “non-reactive” products category, those that insulate by themselves without any previous chemical reaction, we can find some products that do not show any relevant alterations in their chemical composition but in the appearance when exposed to long term fire and high temperatures. These products end up cracking or darkening. This is the reason why we will have to restore regularly these passive fire systems once they get in contact with fire or high temperatures. The steel industry is a clear example of this. 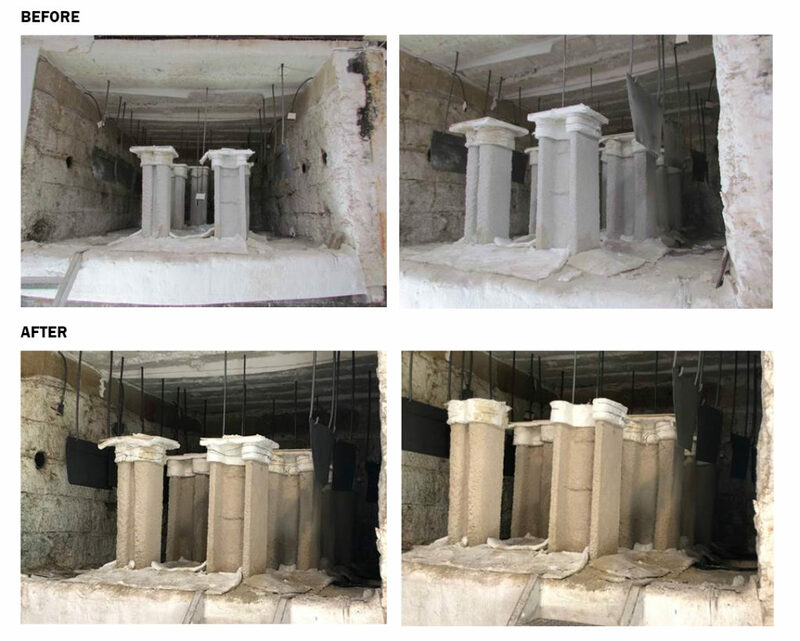 The fireproof Tecwool® F Mortar is mainly made of basaltic rock wool, white cement and other additives. Not all rock wool products show a fire performance as good as Tecwool® F does. For example, most of rock wool blankets -well-known for its widespread use in thermic insulation- contain an organic binder (glue) to agglutinate the fibers. At a certain temperature, this binder burns, decomposes and generates smoke. Unlike these blankets, Tecwool® F Mortar agglutinates the fibers with white cement which is sprayed with water to achieve a correct curing. 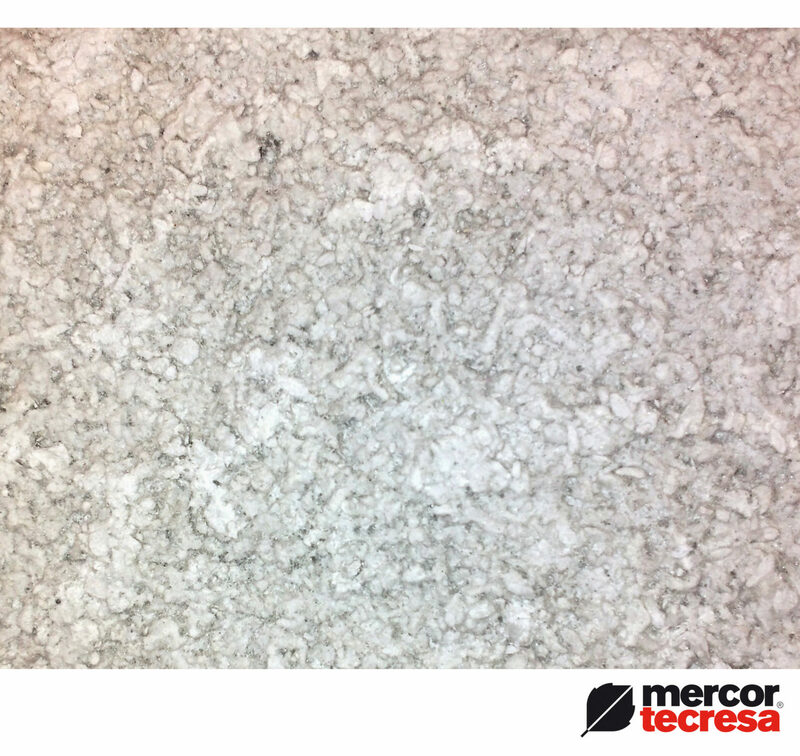 In this case, let’s see a sample of Tecwool® F before and after a six-hour fire exposure at 1100ºC. As seen in the photographs, the result is impressive. The appearance variations are unnoticeable. Tecwool® F adapts to a wide variety of supports and offers a great adherences and flexibility. In addition, it has exceptional features in sound and acoustic absorption in reverberant chamber. All these characteristics make the fireproof Tecwool® F Mortar one of the best products in passive fire protection. We offer a wide range of constructive solutions specifically designed for all types of structures and facings. For further information about the Tecwool® catalogue, contact our commercial department.